Portrait of Ebenezar B. Nichols. Courtesy of the Grand Lodge of Texas. Image available on the Internet and included in accordance with Title 17 U.S.C. Section 107. NICHOLS, EBENEZAR B. (1815–1872). Ebenezar B. Nichols, merchant, banker, soldier, and Confederate official, the son of William and Catharine Hamilton (Wood) Nichols, was born on October 12, 1815, in Cooperstown, New York. After attending the Lutheran Academy at Hartwick, New York, and serving as a broker in New York City, he traveled to Texas with a load of lumber in 1838. In Texas he fought Indians and Mexicans with the Texas Rifles on the frontier and then settled in Houston. With money from speculation in pecans, Nichols entered into a partnership with William M. Rice that was known as Rice and Nichols, "dealers in dry goods, groceries, hardware, crockery, etc., at wholesale and retail." Rice and Nichols were among public-spirited citizens who made the plank road from the Brazos to Houston a possibility, and Nichols supported filibustering efforts in Central America. E. B. Nichols and Company Advertisement, circa 1860. Courtesy of the Texas Almanac and the Portal to Texas History. Image available on the Internet and included in accordance with Title 17 U.S.C. Section 107. E. B. Nichols and Company Building, Galveston. Image available on the Internet and included in accordance with Title 17 U.S.C. Section 107. First National Bank Building on the Strand, Galveston. Courtesy of the Library of Congress. Image available on the Internet and included in accordance with Title 17 U.S.C. Section 107. Ebenezar B. Nichols' Grave. Image available on the Internet and included in accordance with Title 17 U.S.C. Section 107. Having acquired interests in Galveston, Nichols moved there in 1850, became an officer in the Galveston Brazos Navigation Company, and gradually withdrew from the Houston scene. In Galveston, E. B. Nichols and Company, cotton factors and commission merchants, which Nichols formed with Julius Frederick, took over the Brick Wharf, so-called because a brick building walled it on each side. The firm represented the Peirce and Bacon line of vessels, which operated between Galveston and Boston. Like contemporary cotton factors, the firm advanced money, received deposits, and performed other banking services. In 1860 Nichols had real property valued at $100,000, personal property valued at $20,000, and six slaves. In 1861 he had twelve slaves and as late as 1870 reported over $100,000. Though he was initially opposed to secession, he changed his mind and served as a delegate to the Secession Convention. He was there made state commissioner to raise and disburse funds for the public safety, negotiate the surrender of Fort Brown and other forts, and handle ammunition and stores at Brownsville and Point Isabel. 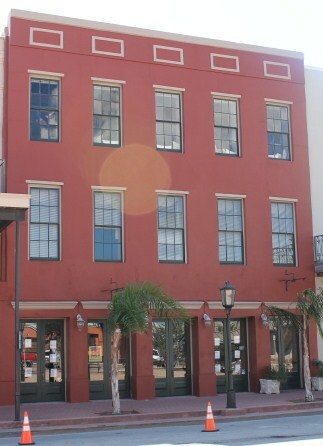 Nichols was a captain in the Galveston Rifles, converted his home on the Galveston Strand into an armory and headquarters for Gen. John B. Magruder, and served on Magruder's staff and as a financial agent for the Confederacy. 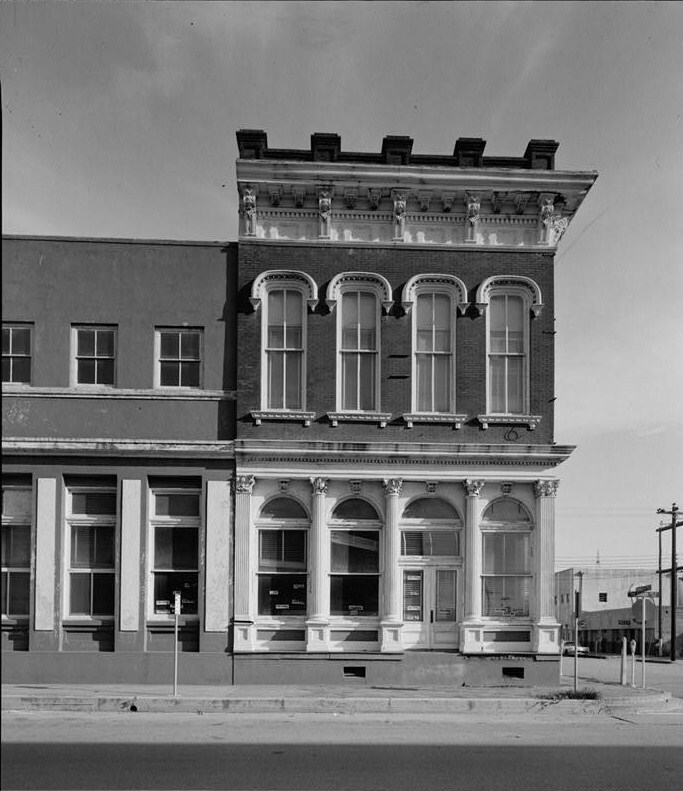 In 1866 Nichols organized the Bank of Galveston, which later merged to form the National Bank of Texas, with himself as president. This bank, the second national bank in the state, cannily kept cash reserves almost equal to its deposits. Nichols also dealt in Galveston real estate, was president of the Galveston City Company, and took part in forming the Galveston Gas Company, the Galveston Wharf Company (see GALVESTON WHARVES), the Texas Ice and Cold Storage Company, and the Galveston, Houston and Henderson Railroad. He was also a founder of Trinity Episcopal Church and grand master of the Masonic lodge of Texas. Nichols married Margaret Clayton Stone on August 7, 1842, and the couple had seven sons. Nichols died at his home in Galveston on November 30, 1872. Daughters of the Republic of Texas, Founders and Patriots of the Republic of Texas (Austin, 1963-). Earl Wesley Fornell, The Galveston Era: The Texas Crescent on the Eve of Secession (Austin: University of Texas Press, 1961). Charles Waldo Hayes, Galveston: History of the Island and the City (2 vols., Austin: Jenkins Garrett, 1974). History of Texas, Together with a Biographical History of the Cities of Houston and Galveston (Chicago: Lewis, 1895). Ralph A. Wooster, "Wealthy Texans, 1860," Southwestern Historical Quarterly 71 (October 1967). Handbook of Texas Online, Julia Beazley, "NICHOLS, EBENEZAR B.," accessed April 23, 2019, http://www.tshaonline.org/handbook/online/articles/fni01.